"This is a great discovery and its greatness lies in what it, and the artifacts, can tell us about the cultural landscape." Augusto Salgado/Cascais City Hall/Handout via ReutersDivers at work during the discovery of the shipwreck on Sept. 24, 2018. 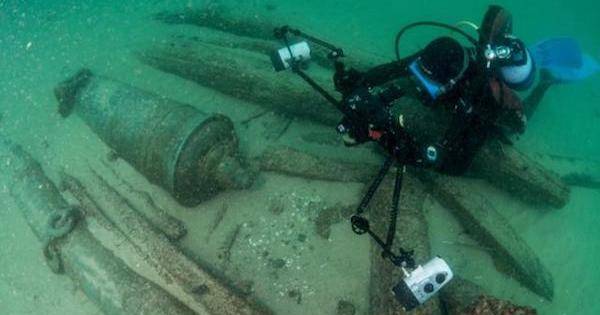 While searching the sea floor off the coast of Portugal, archaeologists recently discovered a shipwreck believed to be a whopping 400 years old. According to Reuters, the researchers contend that the ship may have sunk while returning to Lisbon from India with spices and other items sometime between 1575 and 1625. The ship was found on Sept. 4 off the coast of the resort town of Cascais (about 15 miles west of Lisbon), and project director Jorge Freire said that both the ship and its objects were “very well-preserved.” According to The Guardian, Freire and his team spent four days investigating the wreck upon its discovery. The shipwreck — found as a part of a 10-year archaeological project supported by the municipal council of Cascais, the Portuguese navy, the nation’s government, and Nova University of Lisbon — was located about 40 feet below the surface. Upon examining the ship, divers discovered various spices, nine bronze cannons engraved with the Portuguese coat of arms, Chinese ceramics and cowry shells, and a specific currency that was used to trade slaves during the colonial era. 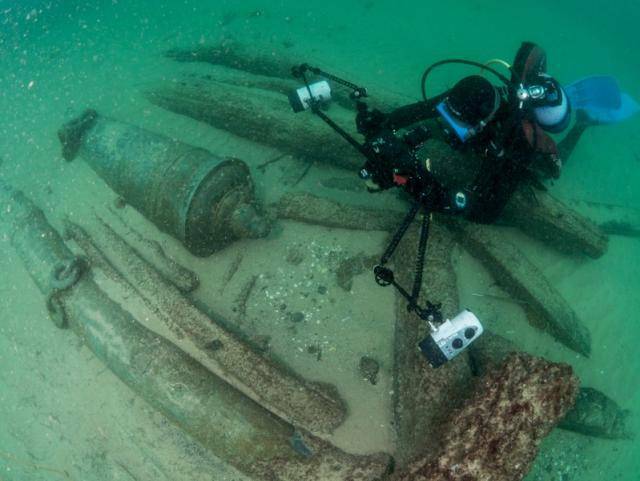 The shipwreck discovery is thus especially significant for researchers because it could shed light on the history of Portuguese trade. Augusto Salgado/Cascais City Hall/Handout via ReutersMany of the artifacts found on the ship, including Chinese ceramics and currency used to trade slaves, were in great condition. 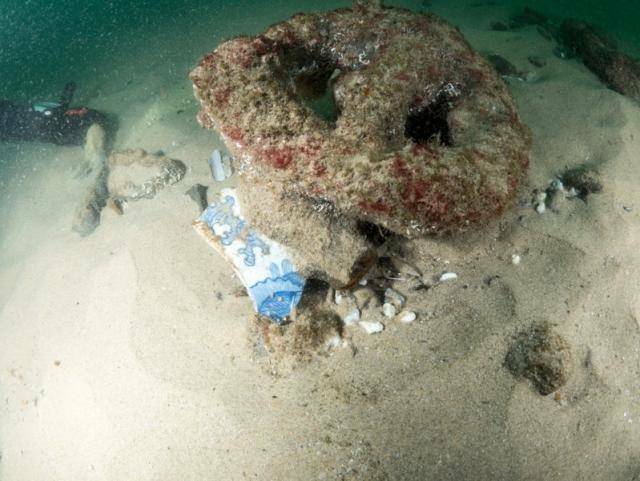 The discovery of this shipwreck (which has not yet officially been given a name) is the first of its kind since archaeologists found the wreck of the Nossa Senhora dos Mártires (Our Lady of the Martyrs) ship, which also sailed the spice route and sank off the coast of Lisbon in 1606. The research team that has been examining this coastal area of Portugal says that this latest discovery is in much better condition than the Nossa Senhora dos Mártires wreck, which suggests that it could provide more significant and accurate information about this momentous era in world history. 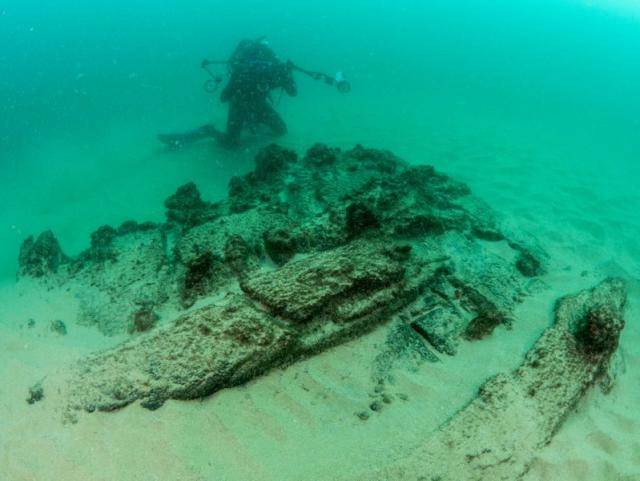 Next, check out the stories behind some of the most fascinating sunken ships in history. Then, experience the sinking of the Titanic via rare, poignant photos taken aboard the doomed ship.